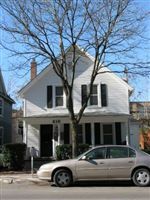 Search for a property - Campus Management, Inc.
Campus Management Inc. rents and manages over 325 houses and apartments in the University of Michigan Campus area. With our large property selection and over 35 years of delivering outstanding service, choosing Campus Management Inc. means easy living. Showing 3 out of 25 properties.